SEA SEA RIDER is the perfect platform for fishing or diving, whether for private use or a commercial charter operation. This big and brawny PowerCat has proven itself as a successful fish raiser in both the Carribean and in the bill fish grounds of the Pacific Ocean off the West Coast of Central America. SEA SEA RIDER has a minimal draft for a vesel of it's size, so it is also a great family cruiser for exploring the shoals and shallow waters of the Bahamas, the Florida Keys, and Caribbean out-islands. 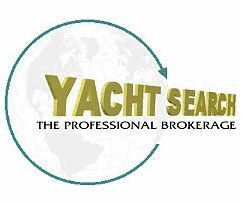 Please contact owner's central agent Walt "the PowerCat Guy" Strzalkowski for further information ... or an appointment for your personal inspection of SEA SEA RIDER here in South Florida. Whether you have 8 friends fishing in the cockpit or a large group of divers, you'll have plenty of room ... and will be exceptionally comfortable on this Power Cat! With 28' of beam and the horsepower to move her economically, you'll get a smooth, stable ride wherever you want to take her. No "rock-n-roll while you troll for a bite" ... or while entertaining clients and friends with cocktails in hand. And at anchor you will really appreciate her exceptional stability. And the fuel economy and total efficiency of operation makes traveling to where the fish are in this Cat a real pleasure ! Whatever your choice of water activity, this fabulous Power Cat will take you there and get you home in total comfort and safety! Smooth, stable ride ... exceptional economy ... this is what PowerCats are all about ! NOTE: This vessel has a full list of upgrades and repairs: New Bilge Pumps & Float Switches; Upgraded Korbelt Controls; Generators Serviced; Oil & Filters on mains & gensets changed; New Racors; All new A/C Units; 2 New A/C raw water cooling pumps; Fresh Bottom Paint; New Cutlass Bearings; New Zincs; New Bimini Canvas; New Strato-Glass; 3 New Bridge Helm Seat Covers; New Control & Instrument Panel Cover; New Rocket Launcher Cover & Fighting Chair Cover; Upgraded Radar; Upgraded Navionics Chart Chips; New GPS Antennae; New Macerator Pumps & Sanitary Hoses; New CD/DVD & Power Amplifier & Receiver; New Ground Fault Breakers; Twin-Disc Transmissions Serviced; Transmission Cooler & Hoses Replaced & Over-Heat Sensors Replaced. Large salon opens up to starboard with horseshoe seating for 10 people with dining room table (antique) and cushion back upholstered seating, dinette table drops down and serves as additional sleeping area or king size bed. Very large U-shaped antique table top for serving up to 10 people is a comfortable arrangement for seating and entertaining, while still having additional area with the galley to port. Great for entertaining clients for a dinner and drinking cruise or plenty of room for as many fishermen that are ready to catch their 1st Bill Fish!! Rupp 4 spreader outriggers-the most amazing spread in clear water you will ever see for Bill Fishing!! 50 Gallon livewell that will keep all your live bait frisky for a full day of fishing! 3300 RPMS 26+ Knots burning approximately 30 Gph Total! Port & starboard sponsons on CAT provide massive storage for all gear and excellent room for repairs and parts storage, fishing tackle, fenders, etc.